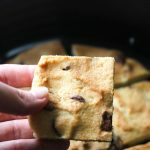 Try this air fryer chocolate chip cookie bars, so buttery and crunchy. 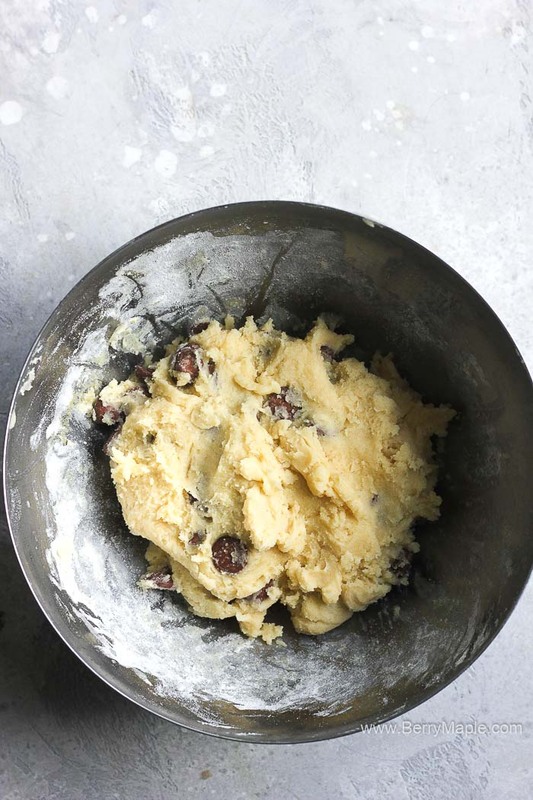 Easy to make dough will turn in to a delicious sweet dessert for the whole family to enjoy. Kids favorite! I tried this big cookie recipe in the early morning . I didn’t have any brown sugar so I decided to experiment with a no brown sugar cookie dough. If you like cookies, you will enjoy my air fryer fried Oreos recipe. Great with milk! So the cookie dough worked our perfect! The texture of the cookie was crunchy and the taste was sweet and lovely. I did put the dough in the fridge for 1 hour, but I really I think it doesn’t matter if you are not rolling little personal cookies. 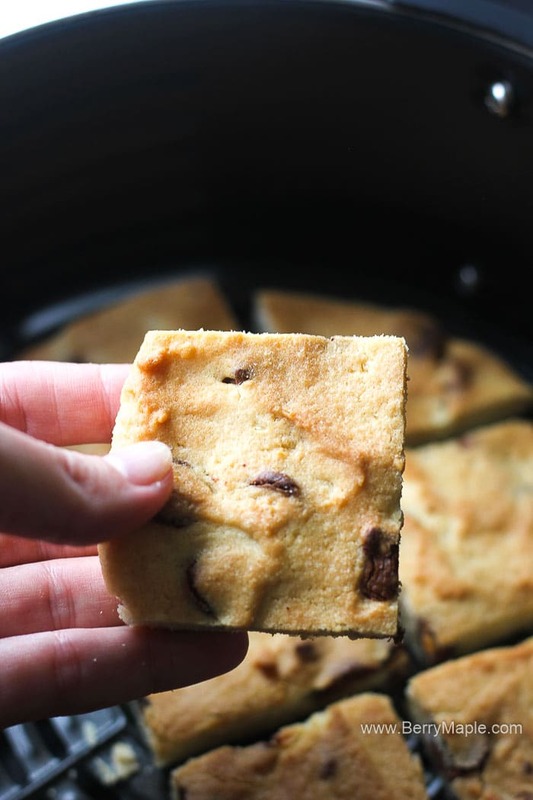 You can use any chocolate chips in this recipe. Pick your favorite ! I like semi sweet chocolate, but you can use milk chocolate or even white chocolate . Whisk the egg with softened unsalted butter in a medium size bowl. Add sugar and keep mixing. Add dry ingredients to wet ingredients and mix it with a spatula just enough to combine . 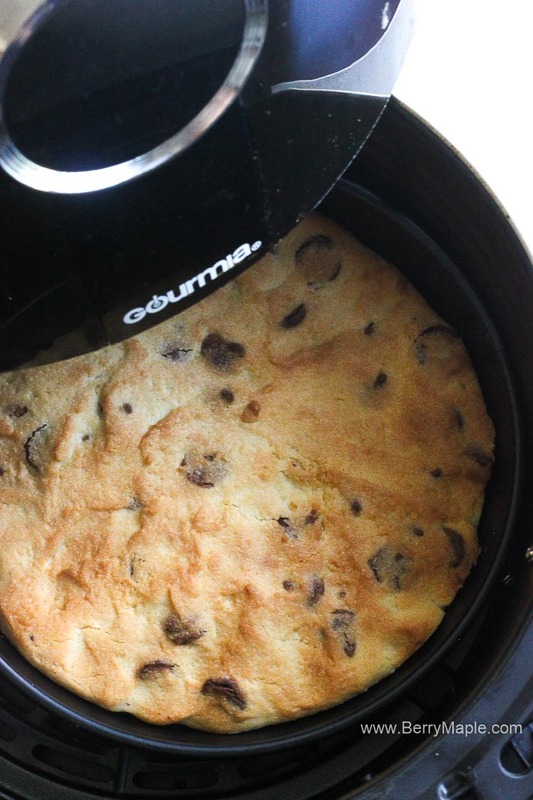 Roll a dough ball and place into you air fryer pan. I used the smaller pan from this accessory kit. 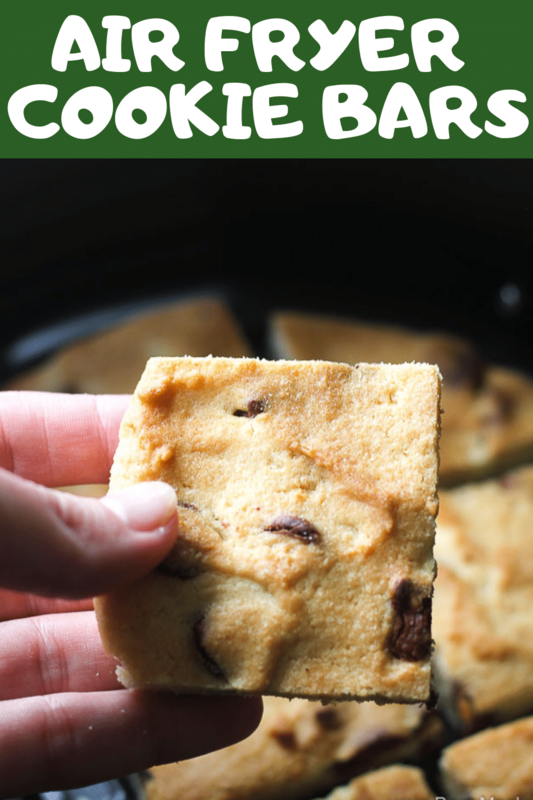 My kids dipped cookies in milk and we ended up eating the entire pan really quick. Perfect dessert! Preheat the air fryer to 320 degrees. 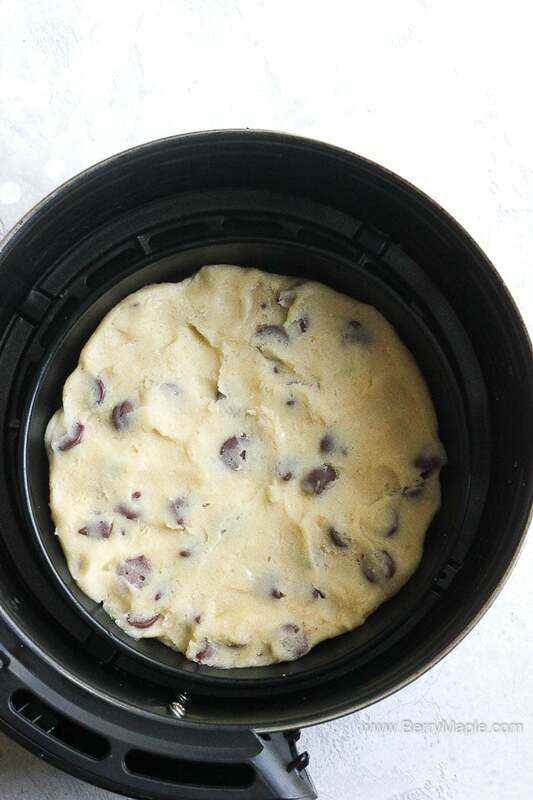 Place the dough in to a prepared pan and spread evenly. 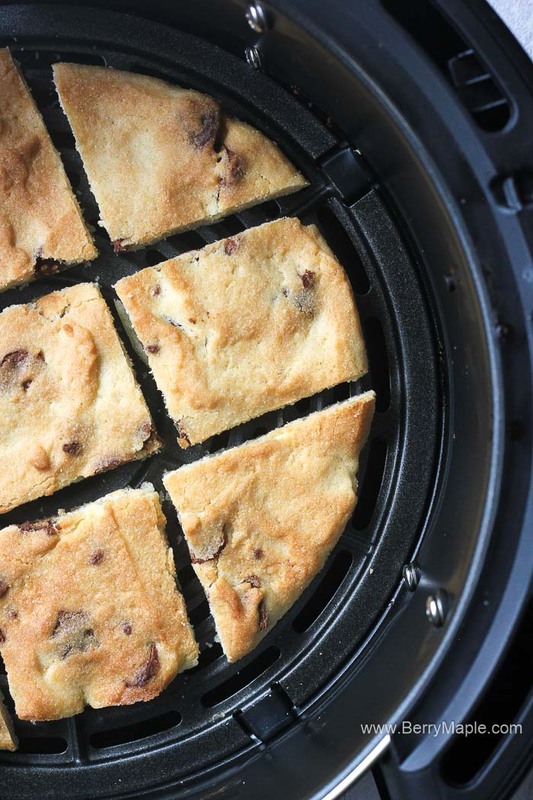 Place the pan to your air fryer. Cook for 7-9 minutes, the color suppose to be light brown when ready. Using kitchen towel take the pan out of the air fryer. Let cool. You can slice it like a cake or like bars, up to you!